The term ‘The Great Game’ may have been made popular by Kipling in his great novel ‘Kim’ but the man who first coined the term and provided the intelligence that formed the basis of British strategic thinking for the defence of India against a possible attack from the east was Arthur Conolly. Conolly was one of the many young men who as soldiers, adventurers or officers of the Indian Civil Service travelled through central Asia gathering information about likely routes taken by enemy armies and on the extent of Russian preparedness. Like so many others Conolly paid for the service he did for his mother country with his life. He now lies under the main square in Bokhara where in June 1842 he was executed along with his friend Charles Stoddart. Conolly was born in London in 1807 but by the age of twelve was orphaned as his parents died within a week of each other. He was sent to school to Rugby and then at the age of sixteen signed up with the East India Company’s army as a cadet sailing to India aboard the Grenville. During the voyage he used to listen to Bishop Heber, an ardent evangelist who was on his way to Calcutta to take up a new position. Heber believed that Hinduism was an evil religion and that it was his duty to convert Hindus to Christianity. This was a time when the British believed it was their duty to convert less developed peoples and spread Christianity and by doing so bring improvement. Conolly was typical of the evangelical classes believing it was his duty to bring Christianity and improvement to those less fortunate than himself. Conolly arrived in India at a time when British foreign policy towards Russia was undergoing a thorough change as a result of a new book produced by a former soldier, Colonel George de Evans. 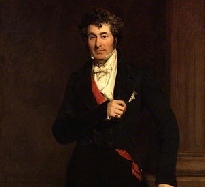 In 1829, just months after Russia had defeated Turkey and through the subsequent treaty acquired the right of free passage for their ships passing through the Straits of the Dardanelles, Evans published a book called ‘On the Practicability of an Invasion of British India’ in which he set out to prove the possibility of a Russian invasion on India by way of Khiva, Kabul and the Khyber Pass. The book had its weaknesses but became the handbook for students of The Great Game for many years. 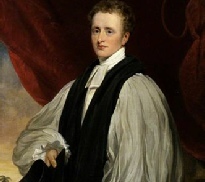 One politician who was persuaded by the arguments in the book was Lord Ellenborough who was President of the Board of Control over India in Wellington’s government. 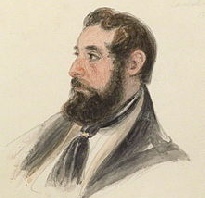 Ellenborough determined to gather as much military, economic and diplomatic information as he could on the Russians and their plans for central Asia. A succession of young army officers like Conolly were sent into the region to map the region, trace trade routes, get information on the ruling Emirs and the strength of their khanates. Conolly impressed his seniors in the 6th Bengal Light Cavalry of the Indian Army with his toughness, determination and courage. He was a strong man and given his commitment to religious endeavour and his lust for adventure he was an ideal candidate to send on an intelligence mission. 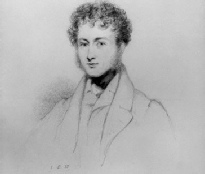 In 1829 following a period of leave, Connolly decided to return to India overland and travel via Moscow and Central Asia gathering information on the way. Britain and Russia were officially allies and Conolly had few problems getting to Tiflis in the Caucasus by the autumn. As he rode south Conolly noticed all the elements of the Russian army, troops who could be used to extend Russian influence. He was impressed by the hardiness of the troops he saw and the stoical way they dealt with any difficulty. They wee obviously well seasoned and well trained troops. He was particularly impressed by the qualities and fighting prowess of the cavalry units he saw. Having reached northern Persia Conolly left the protection of the Russians and set out for Khiva via the Karakum Desert to see what presence the Russians had between the Caspian Sea and the Pamir mountains, an area about which the British had little information and no contact. The area was dangerous for foreign travellers and Conolly needed to adopt a disguise. He considered disguising himself as a European doctor but didn’t have the medicines to do that so he decided to adopt the guise of a merchant selling scarves, shawls, spices for sale in the bazars of Khiva. He hired a guide, servants and camels and set off on his 500 mile journey. Unfortunately he did not get very far for after a few days he was intercepted by a group of four men and robbed of much of his stock and money. He managed to get back to Astrabad and although he had lost many of his possessions he had acquired useful information about the area – particularly that the Russians had not reached the eastern shore of the Caspian Sea or indeed Khiva. Having recovered from his ordeal Conolly decided to travel towards Afghanistan and investigate the possibility of the area being used as an invasion route. He travelled towards Meshed, and from there headed towards Herat, in Afghanistan, which no British officer had seen for twenty years. Conolly remained for three weeks and noted everything of any importance to do with the city’s defences and its stocks of food. From Herat he headed south east to Kandahar attaching himself to a group of holy men to avoid the interests of local bandits. He was soon struck down by illness but instead of being able to fully recover he had to leave when he heard of rumours about him being an English spy for the ruler of Herat. 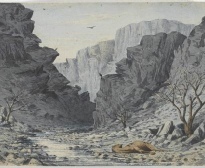 He left Kandahar and travelled towards Quetta, at the entrance of the Bolan pass, a possible invasion route for invaders of India. Travelling through the Bolan Pass he eventually reached the River Indus and safety. 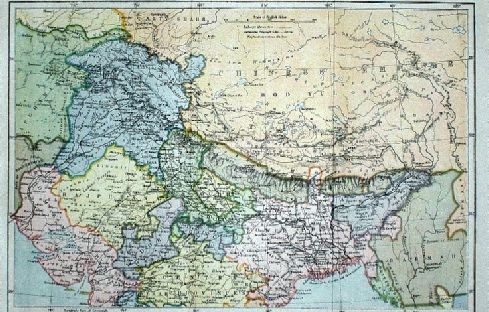 Having travelled the routes along which a Russian invasion force might come Conolly was to provide Ellenborough with much need information and include the less sensitive information in a book entitled ‘Journey to the North of India, Overland from England, Through Russia, Persia and Afghanistan’ . Conolly came to the conclusion that there were just two land routes to India from the west. The first involved taking Khiva and then moving south through the Hindu Kush to Kabul and the Khyber Pass. 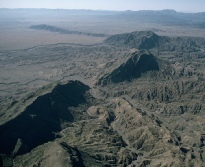 The second route involved capturing Herat and using it as a base to attack India through the Bolan Pass. Both routes involved taking cities that might take months or years to take and the key to both route was Afghanistan. An attacker needed to either control all of Afghanistan or befriend the ruler of Afghanistan. 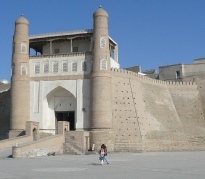 Taking Khiva or Herat was one thing but to move through Afghanistan was a very risky venture and needed possibly years of successful diplomacy. Conolly’s reports were well received in Calcutta and London and the importance of Afghanistan was recognised and Britain committed herself to gaining the support of Afghan leaders by diplomacy if possible and by force if not. Britain fought a series of wars in the c19th to maintain British influence in Afghanistan, the first one being in 1839 when a puppet ruler was installed. During that time, in 1840, Conolly wrote to Major Rawlinson newly appointed as the political agent in Kandahar, that’ You’ve a great game, a noble game, before you’. In 1842 Conolly was to die on a mission to the Karakum Desert that he had tried to pass through in 1829. He had been sent to Bokhara to try and rescue a colleague, Colonel Charles Stoddart who had been imprisoned in the Emir of Bokhara’s dungeon. Stoddart had been sent to the Emir to try to negotiate an alliance to forestall Russian expansion in the region. Conolly had been on a similar mission the previous year to try and persuade the various emirs of the region to put aside their differences. 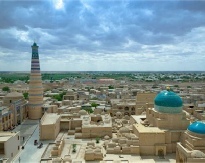 The local emirs of Khiva, Bokhara, Merv and other cities in the area guarded their independence carefully and did not trust foreigners whether they be British or Russian. Instead Conolly and Stoddart were both executed in the square in front of the Emir’s palace and then buried in a nearby grave.